Imagine a small-business funding model which allowed you to raise capital without going into debt or giving away equity, and which also test-drove your product idea before you even launched it. Crowdfunding has taken the world by storm and could within the next ten years become the leading source of funding for small businesses, but here in South Africa, the concept is still relatively new. 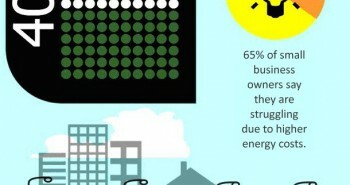 So, what is crowdfunding? 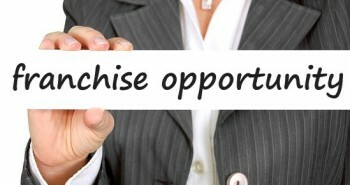 In essence, it allows entrepreneurs to connect online with the public in order to raise cash to fund their business ideas. The best-known crowdfunding platform globally is US-based Kickstarter, which has raised over $1 billion dollars for entrepreneurs since its launch in 2008, especially in the tech space. In 2012, 26-year-old engineer Eric Migicovsky used Kickstarter to raise over $10 million for Pebble, a watch that communicates wirelessly with iPhones and Android phones via Bluetooth technology. This was the largest crowdfunding project at the time. Locally there have been several attempts at crowdfunding initiatives, but the most successful and sustainable has been Thundafund.com which, since its inception a year ago, has raised over R3 million from almost 4 000 investors for over 100 projects. One of the first successful projects on Thundafund was YBIKE Evolve, a 3-in-1 combination tricycle and balance bike for kids. The company raised R49 000 through Thundafund – in fact YBIKE ran campaigns on both Kickstarter and Thundafund and raised more money through the South African platform. Cape Town’s Labia Theatre, the oldest cinema in South Africa, used Thundafund to raise R550 000 to go digital. And Cape Town’s first chocolate cafe, Honest Chocolate, opened its doors after raising R66 000 through Thundafund. The platform caters for a wide range of fundraising projects, from helping Lloyd Maanyina raise R12 300 to start Amazing Grace, a plant nursery in Zambia aimed at combatting deforestation, to Madam and Eve – The Musical, which aims to raise R2 million through the platform. Thundafund has also been a successful platform for community-based initiatives such as the Gugulethu food garden which raised R75 250 to build a 400m² food garden at Litha Primary School in Gugulethu. However, in order to keep the platform purely for commercial fundraising, Thundafund is launching a separate platform for community-based, nonprofit projects. The idea behind crowdfunding is that you market your business idea and invite people to support it. Part of the application process is in understanding how much money you need to raise – what your “tipping point” is as well as your milestones. For example in the case of Honest Chocolate, the tipping point was R50 000 – if they did not raise this amount then the cafe would not open and the investors would all receive their funds back. For R50 000 they could open a basic Chocolate Café setup, which includes an espresso machine, coffee grinder, display fridge, and POS system. If they raised R80 000 they would then spend money on turning the space into a cosy cafe with beautiful fixtures, fittings and furniture and with R100 000 they would beautify the courtyard with benches and tables for outside seating. The project goes live for between 30 days to 90 days, depending on how much funds are to be raised. Schofield says the “sweet spot” tends to be 45 days, as this is roughly how long the owners of the project can keep the attention of its community. It requires a great deal of effort and energy to keep a campaign alive and this is difficult to sustain for longer periods of time. If your project is successful, you would receive the capital raised, less the 7% fee paid to Thundafund for a commercial venture or 5% for a registered non-profit project. As an investor you register on the website and then select which project you wish to invest in. Payment is made via EFT or credit card. The money is held by Thundafund in a trust account until the capital raising has been successful. If the project does not reach its tipping point you receive your funds back. If the project is successful you receive your reward as an investor. Schofield says investors do need to realise that it can take around three to six months for the project get off the ground, so it will take time to receive your reward. Although there are no guarantees that the project you invest in will become a successful venture or that the owners won’t just grab the money and run, the process of peer review and the amount of social media connections make it difficult for the owners to simply disappear. While there are many different models for crowdfunding including selling a stake in the business, Thundafund has focused on micro and small businesses who offer a “reward” to investors which is produced from the project itself. The genius behind this is that you are able to pre-sell your product – ensuring a demand from the day you open. Not only have you tested your product but you also do not have to repay a loan with interest and all the other costs involved. You just have to deliver your product. For example, for R650 an investor could receive an Evolve bicycle, while Honest Chocolate investors could invest as little as R30 for a cup of coffee and a bonbon, or up to R160 for ten coffees. From the minute the cafe opened it already had a customer base; YBIKE was able to produce its bicycles for sales that had effectively already taken place and the Madam and Eve Musical will be filling its seats with investors rewarded with tickets. If nobody wants your bike, your coffee or tickets, then you know your product won’t fly and you simply walk away. Banks are also starting to realise the power of crowdfunding to assess the risk of a project. Patrick Schofield, co-founder of Thundafund says in the case of Honest Chocolate, they initially approached the bank to raise R100 000. Banks are hesitant to fund new, untested projects yet by raising a large portion of the money through crowdfunding, the bank was very comfortable to lend the rest. Firstly they were not at risk for the full amount and secondly the idea had been tested and demand was proven. “It also raises awareness for angel investors who may be looking for investment opportunities and want to see what concepts are going to work,” says Schofield. Although Thundafund has received 900 project applications, only 15% of these have gone onto the platform. Schofield says this is not necessarily because they were turned down by Thundafund but rather that the project owners decided not to go ahead as the application process made them realise that their business idea was simply not robust enough to be successful. 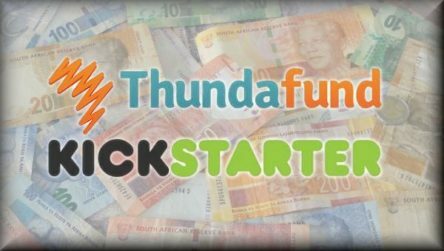 Thundafund has a very high success rate for crowdfunding, with 68% of projects that go live receiving sufficient capital to launch. In comparison, Kickstarter has a success rate of 42%. The success of your project, however, will rely entirely on you. This is not a matter of “put it up and they will invest”. Successful projects have all had one thing in common: the owners marketed the campaign aggressively. Schofield says it takes at least two to three touch points before an investor commits. In a world that has so much information and distraction, you have to find ways to keep your project top of mind until the investor takes action and invests. For every ten people who support the project, only one will actually put in the money. You need to get more of those Facebook ‘likes’ to turn into cash. “You have to tell people: if you like what I’m doing, back me with money and we’ll make it happen,” says Schofield. A strong campaign is also positive for other projects as it draws more investors to the platform. Schofield says projects that tend to be successful are those that have an emotive side – like “saving the Labia” or ones that offer a direct product which investors receive as a reward, like Evolve or Honest Chocolate. Other commercial projects so far include theatre and dance productions, movies, publishing books and producing albums (heads-up that Kahn, lead singer of The Parlotones, is currently raising capital for his new album).